Upper: map of the primers used for amplifying STAT3-binding regions of MMP2, TWIST and SOX2; tss: transcription starting site. Bottom: ChIP-qPCR analysis of 293FT cells transfected with STAT3 or/and AKR1C1, using anti-HA antibody and PCR primers. IgG was used as a negative control. Enrichment of HA-STAT3 on the promoter regions of the target genes was calculated. Data are mean ± SD. 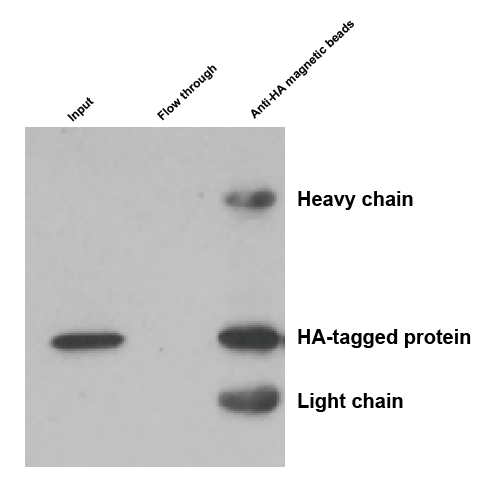 Cell line: HA Tag-fusion protein (35 Kd) overexpressed HEK293T.